A handshake - a salutation, an introduction, a "dap." Whatever the reason behind it, a handshake in the NBA has become more than just a way to say hello. NBA handshakes have taken on a persona of their own, earning plenty of airtime and even getting their own hashtag, #NBAHandshakes. 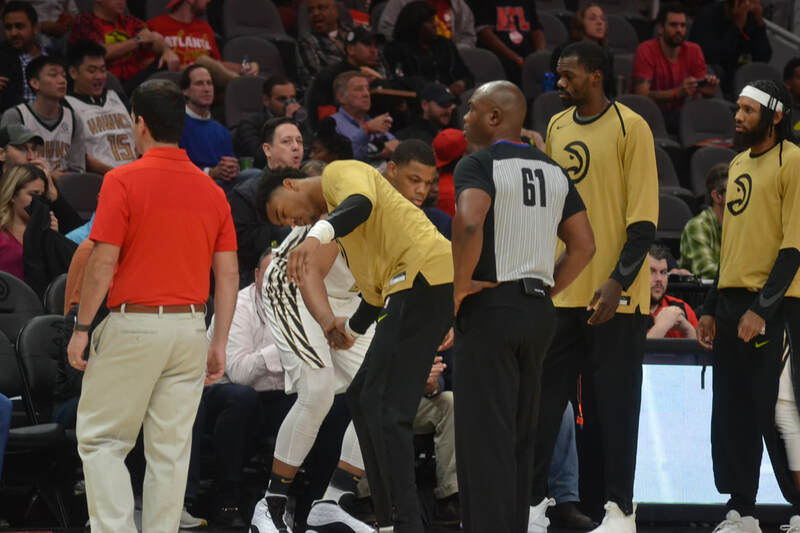 Take a look before tipoff of any Atlanta Hawks game and you'll be sure to notice something, a routine featuring handshakes. There are cool ones, basic ones and even some intricate ones. Guard DeAndre' Bembry lets his creativity show when deciding what handshake will accompany which teammate, he oftentimes bases it on their personalities, coming up with it right on the spot "in 10-15 seconds." For Hawks' forward John Collins, there's even a backstory to a few of the handshakes he has with his teammates. John does acknowledge that he and DeAndre' are two of the frontrunners when it comes to creating the handshakes. John even proudly boasts how he takes it up a notch, having handshakes stemming from last year with just about everyone on the staff, save for the head coaches, though he briefly considered including Coach Pierce but quickly said the head coaches are usually so focused on the impending game, he doesn't bother. John did it in high school and college, so it's only right he took it to the pros. The handshake between John and Jeremy Lin is a collaborative effort based on the popular Japanese anime, "Naruto." "We talk about that (show) probably every day." The two connected on the series and even have "friendly competitions and little nerd talks" surrounding the show. At the time, John claimed to be further in the series than Jeremy, saying the two actually bonded over their love for it and the fact that neither had finished. "If I come up with it, I feel like it's something we bond over." Some of the handshakes are a joint effort between two teammates while others are all John. "Trae, the first or second day we knew each other, we were like 'we got to get something now.' We made it up right on the spot. Same thing with Tyler, Dewayne, DeAndre'." 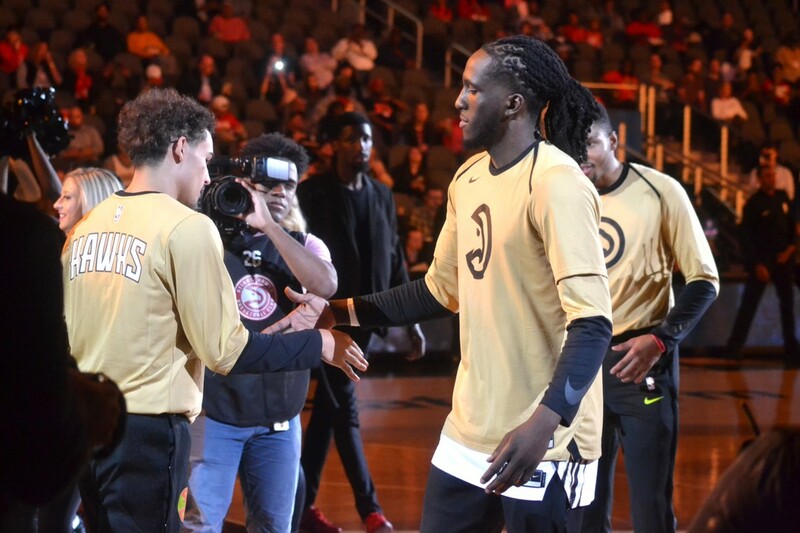 Taurean Prince and John have two handshakes. Why? They had one last year but it wasn't satisfactory, so this year they created one they both agree is better. Sometimes they'll do both, maybe saving the most recent one for a bigger moment or basing it all on feel. While handshakes are a fun addition to the game that could be overlooked, they have become a tradition for many players. Next game, keep an eye on the players pregame and see just how many distinctive ones stand out, they may reveal a thing or two about your favorite player.